Categories: Care, Featured, and People & Places. 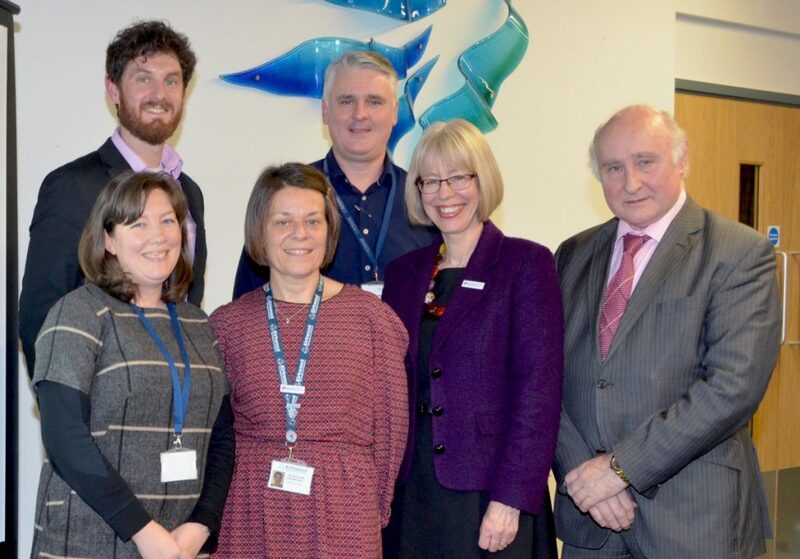 The Association of Palliative Medicine’s (APM) Supportive and Palliative Care Conference saw delegates attend the event at Harrogate Convention Centre from as far away as New Zealand and Canada. 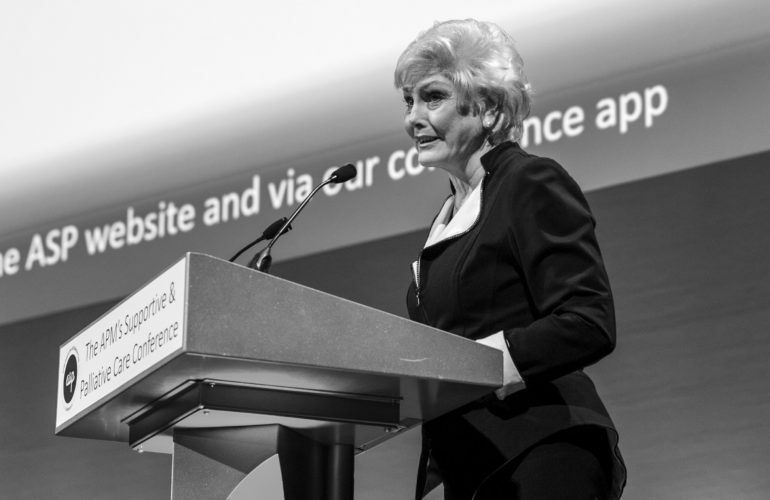 Chaired by Dr Jason Boland, senior clinical lecturer in palliative medicine at Hull & York Medical School and associate editor of BMJ Supportive and Palliative Care, he opened the conference with a plenary about removing the stigma that surrounds dementia, with broadcaster Angela Rippon. After her mother was diagnosed with vascular dementia in 2004, Angela began researching the illness, finding a lot of misunderstanding and little information. “There was no dementia for dummies handbook” she said, and explained that one journalist had asked whether she was embarrassed to talk about a mental illness in public. Stressing the importance of talking about dementia now that over 850,000 people have been diagnosed, with many still to be identified, Angela explained some of the work that has been done to destigmatise the condition, particularly since 2012 when the government placed dementia as a priority on their health agenda. While working with the Alzheimer’s Society, she became chair of a committee to form dementia-friendly communities, appointing dementia champions in fields such as local government, banking, telecommunications, transport and retail. 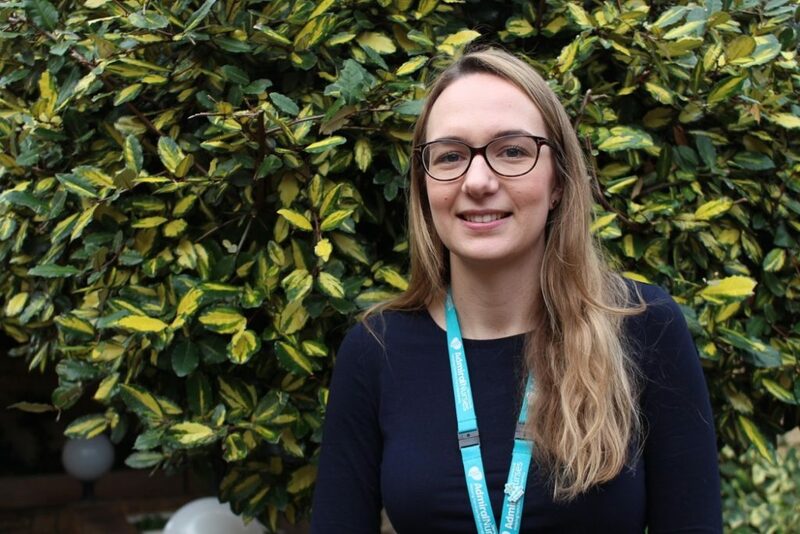 Angela explained this means that for example a dementia champion appointed at Tesco will liaise with other supermarkets, ensuring staff know what to do if they see a customer exhibiting symptoms who may need assistance. Other achievements include implementing a lanyard scheme to enable people to travel easily through airports with their carers, cinemas hosting pre-performance talks and offering seats at the ends of rows, football and rugby teams opening up their clubs and BBC regional TV and radio giving patients airtime. 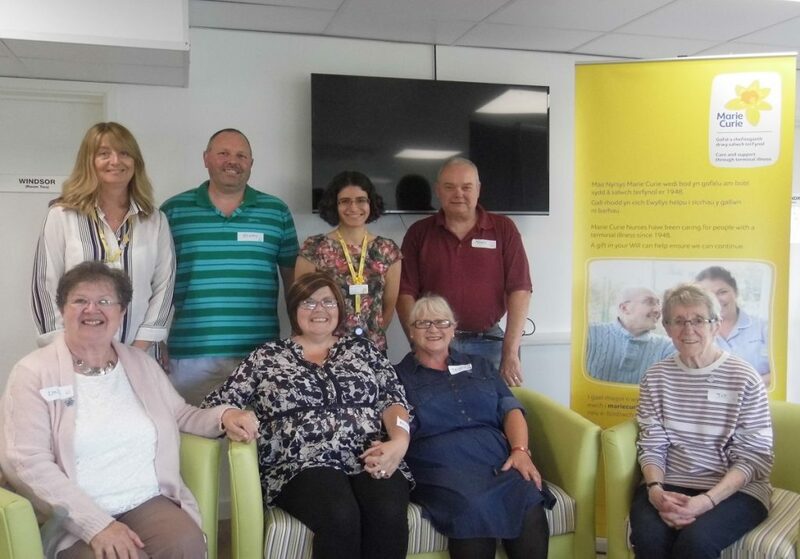 There are currently 421 dementia-friendly communities, cities, towns, parishes, and organisations, and the Welsh Council are aiming for Wales to become a dementia-friendly country. In “Treatable but not curable – an unexpected journey”, Professor Paul Cosford, medical director of Public Health England, talked about his experience of living with incurable lung cancer. He began by giving the audience a look into his life, showing photographs that introduced us to his family, his hobby as a cyclist, and performing at village panto. He discovered he was ill after struggling to breathe while cycling; a chest X-ray revealed fluid around his lungs, later a tumour and metastasis in the liver was found. “In the space of two weeks I went from a competitive cyclist to a terminal cancer patient” he said. He explained that his treatment means he looks healthy, and he decided he would remain active, both physically as it improves life expectancy, and by continuing to work, stating that too many people take the quick decision to quit their job immediately. He talked about keeping a positive mindset as “it won’t do me or anyone else any good to mope”, and about the importance of spending as much time as possible with people he cares about, making memories for those who will outlive him. When it comes to thinking about his death, he talked about wanting to feel in control of it, and believes the current debate is too focused on whether or not to change the law rather than on giving patients choice. “Death is over-medicalised. You’re supposed to have this perfect life and die at 100. Being in this position makes me realise how good life is when you value the present. You lose planning for the future, but the day-to-day is really important. It’s a journey not a battle, and you take what life gives you. I find that helpful”. He ended the session with more photographs of enjoyable, recent experiences – attending the Eurovision Song Contest in Lisbon with his sister, cycling 200 miles to the most eastern point of the UK, and working with refugees to address their healthcare needs. In the afternoon Professor Fliss Murtagh, Professor of Palliative Care at Hull York Medical School and Cicely Saunders Institute, presented future challenges to delivering palliative care as population demographics change. Over the next few years there will be an increase of between 25 and 42 per cent in people needing palliative care, and comorbidity will also increase. Life expectancy is rising, but the number of years lived with no disease is decreasing, while there will be a steep rise in years lived with four or more diseases. Additionally there is a huge discrepancy in the accessibility of palliative care, with NHS spend per person varying between £186 and £3,488. Solutions, she said, would involve changing the way models of care are considered. Using Bronfenbrenner’s ecological systems theory that analyses a person’s environment, she suggested more thought must go into family care (microsystem), a person’s societal context (mesosystem), and system level factors (exosystem), rather than focusing only on palliative services. She then posed the question of how adapted services are, including referrals, assessments, interventions and follow-ups, and proffered that round-the-clock care, home visits and customised care plans linked up with hospitals could result in cost savings. Other sessions throughout the day included Hospice UK’s Vice President Baroness Ilora Finlay on the change to the Mental Capacity Act, Dr Guy Schofield on the ethical challenges faced by palliative care practitioners, and a lunchtime yoga class. The final session was reserved for the play #hellomynameis, depicting the moving story of Dr Kate Granger, who was diagnosed with terminal cancer at the age of 29 and subsequently founded the campaign of the same name with her husband Chris Pointer. Inspired by her own experiences of receiving care, the campaign is encouraging healthcare staff to introduce themselves with “Hello, my name is…” and a smile. It has been adopted by more than 400,000 health workers across 90 organisations, including overseas, who are backing the initiative by wearing its distinctive badges.